The lily family has over 4,000 species of lilies and 280 genera. Lilies are a part of the genus Lilium, which is considered to be the true lilies. 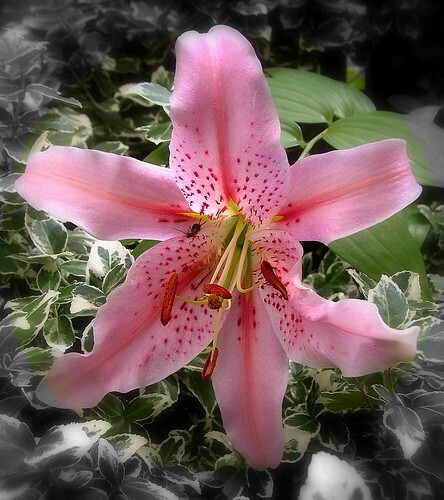 There are a lot of flowers known as a lily, but they are not a part of the true lily family. These include water lilies, calla lilies and daylilies. Also known as the Liliaceae, the lily is a bulb plant that opens into five petals and comes in many different shapes, sizes and colors. Although it is primarily known as a flowering plant, lilies also have many culinary and medicinal uses as well. If you want to learn more about lilies, it's important to know that this plant has more diverse benefits than just looking pretty on your window sill. There is a longtime myth about the lily flower that begins with the story of Hera (goddess of marriage and birth) and Zeus (king of the Greek gods). Zeus wanted baby Hercules (Greek divine hero) to drink the milk of Hera, Zeus's wife but not Hercules's mother. Hera did not want to give her milk to Hercules because he wasn't her child, so in the middle of the night, Zeus brought Hercules to drink Hera's milk while she was sleeping. When Hera woke up, she pushed them away, and the droplets of milk that spilled onto the ground grew into lilies. Lilies are frequently associated with devotion, rebirth, motherhood and purity depending on the type of lily, culture and color. In China, lilies are used as wedding flowers because they are considered to be good luck and will grant the couple 100 years of love. Assyrians and Babylonians associated lilies with the goddess of fertility, Ishtar, whereas Christians associate lilies (specifically Madonna lilies) with the Virgin Mary. 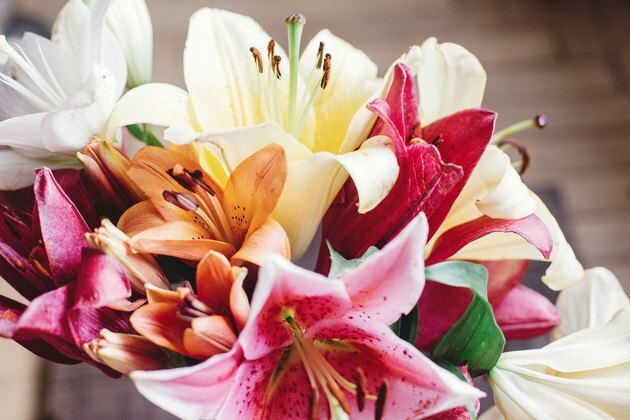 Lilies mostly grow in the colors white (symbolizes purity and virtue), yellow (symbolizes thankfulness and desire for enjoyment), pink (symbolizes prosperity and abundance), red (symbolizes passion) and orange (symbolizes confidence, pride and wealth). If you boil the lily roots or bulbs into a tea, the lily can treat stomach issues and fevers and can help women during labor. During the 16th century, herbalists would steep lily of the valley and use it as an antidote for gout. It was also added to wine to stimulate memory and focus. Lily of the valley was also used to strengthen heartbeat and to reduce blood volume and blood pressure. Lily of the valley is also good for the heart because it minimizes the irritability of the myocardium (muscular tissue of the heart). 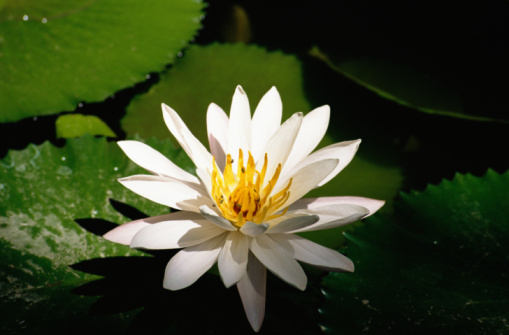 Lilies are also used to treat skin ulcers, inflammation, burns and rashes as well. The roots can be formed into an ointment that aids in preventing the formation of scar tissue. You can apply the lily root ointment directly to the burned spot. Dried lilies are known to contain large amounts of fiber, sodium and carbohydrates. The bulbs are known to have essential proteins and starch with a small amount of calcium, iron, phosphorous, vitamin B1, vitamin B2 and vitamin C. The tiger lily can be used to treat coughs, chest pains and sore throats. It also has anti-inflammatory and diuretic properties. The Lilium brownii has a variety of properties and can be used to treat anything from coughs and intestinal issues to anxiety. The prairie or wood lily (Lilium philidelphicum) has several names, including wild orange lily, tiger lily and huckleberry lily. You can find wood lilies in the northeastern United States and Canada. Native Americans would use wood lilies in a variety of ways when cooking food. They would boil it, bake it, roast it and use it as a thickening agent in soup. Hummingbirds use the flower for its nectar.